Sipping a crisp Pino Gris with Albert Seltz in his cellar, I’m somewhat startled when he pours me what he calls his “love” wine, a tasty Gewurztraminer, one of the seven white wines his family has been growing for fourteen generations on his vast Alsatian estate. “It’s guaranteed to give you amour”, says this passionate French vintner who proudly tells me it’s a wine for ladies. “We had a group visit us from Germany and I told them about my “love” wine and one lady ordered her husband to buy a half a dozen bottles immediately”, he laughed. 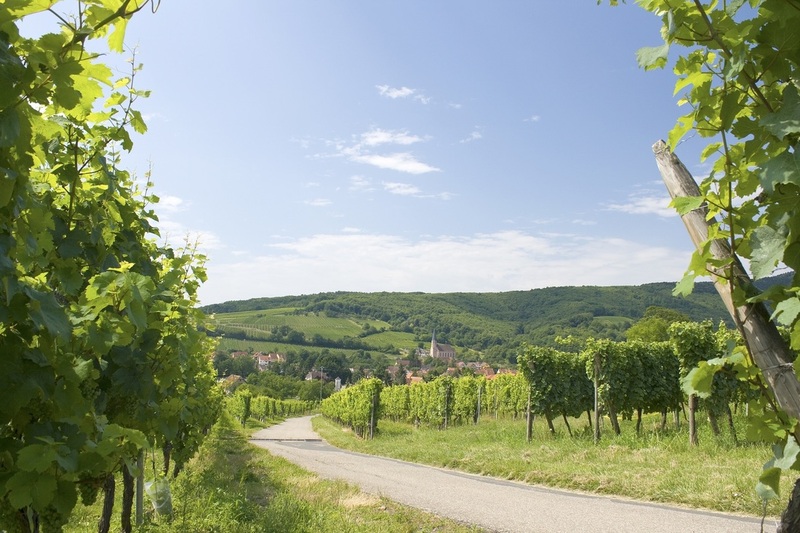 The 17th century Albert Seltz Winery is in the heart of Mittelbergheim, one of the 120 pretty villages that dot the 170 km Alsatian Wine Route (Route des Vins) where wine growers have been producing fragrant white wine since the 2nd and 3rd centuries. Of the eighty million tourists who visit France annually, it’s safe to say a good majority of them will head for Bordeaux and Burgundy, renowned for their irresistible red wine. But, if you’re a white wine lover, Alsace is for you, and it’s less than two hours from Paris on the TGV. White wine seems to be everywhere, and in everything - at La Gouronne restaurant in the village of Scherwiller, 30 minutes’ drive from the capital Strasbourg, I was served a Riesling soup followed by a fillet of Perch with Riesling sauce, with a bottle of delicious Riesling wine, of course. Winemakers even put empty Riesling bottles on their roofs to signify they have a daughter to marry off, and there were plenty of those bottles hanging from the roofs as I drove through Scherwiller. Some 18 million tourists visited Alsace in 2014, with the combination of wine, the beauty of the villages and houses decorated with flowers, many of which date as far back as 1570, they have a timeless charm. Stop in the town of Rosheim to see its 10th century church, and in Klingenthal drop into the Sword Museum. The place has been making swords since the 18th century. Napoleon had his swords made here. If you’re really into medieval weapons, head up to Haut-Koenigsbourg Castle built in the 12th century. Perched 700-metres high on a mountain top, the castle has a large collection of crossbows, swords and armour, not to mention beautiful rooms, paintings, Renaissance furniture and enormous cast-iron stoves. 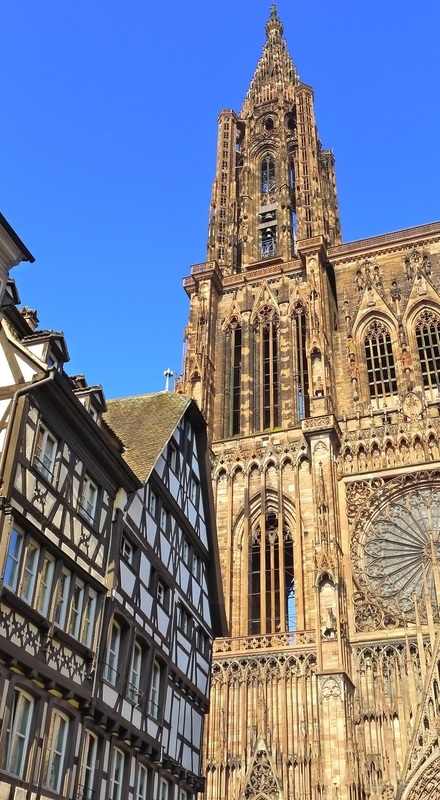 In the city of Strasbourg, a must-see is its splendid Gothic Cathedral, Notre-Dame and its amazing astronomical clock with its moving figures. There are daily shows and from the top of the 142-metre spire, you’ll get sweeping views of the Rhine River. Make sure you visit the Strasbourg hospital, called “Porte de l’Hopital” and its underground wine cellars which are a tourist attraction in their own rite. The hospital was devastated by fire in 1716, but the wine cellars dating back to 1395 were spared. Back then, patients were given two-litres of wine a day and many paid for their care by leaving parcels of land, mainly vineyards to the hospital. Today, the cellars produce some 150,000 bottles a year, quality stuff, and a steal at only around 8 Euro a bottle. Staff will show you one barrel that contains what is reputed to be the oldest wine on earth, dating from 1472. 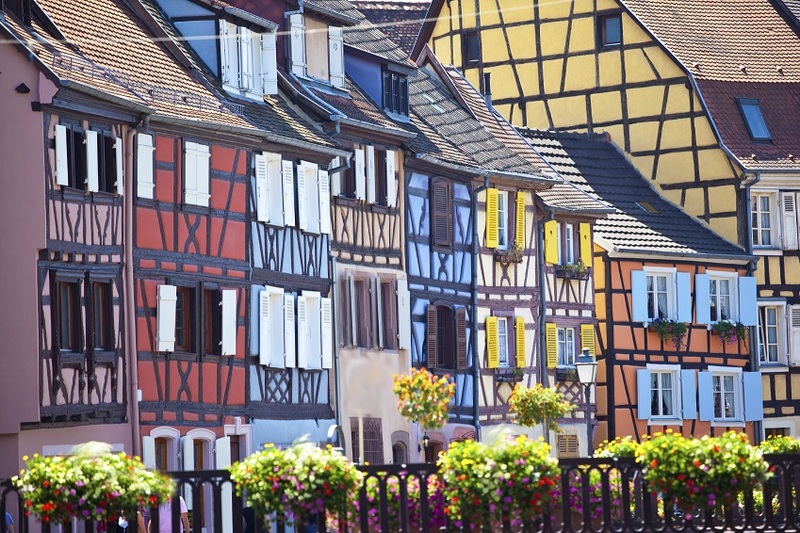 Not far from Strasbourg is Colmar which calls itself the “capital of Alsatian wine”. It was the last town in France to be freed after the 2nd World War in 1945, and it’s just about the prettiest place you’ll see. Known as ‘Little Venice’, it has a well-preserved Old Town and on each side of the Lauch River that winds its way through the city are fairytale, multi-storey, half-timbered houses built centuries ago, all beautifully kept with flower baskets hanging from the walls. Colmar’s most famous son is Frederric Bartholdi who conceived and designed the Statue of Liberty, a 12-metre high replica greets you on the outskirts of the town, while his memory is treasured by his Museum which is in the house where he was born in the Old Town. Here, you’ll find the original drawings for the Statue of Liberty. Eating in Alsace, expect a combination of German hearty fare, fused with the elegance of French cuisine. 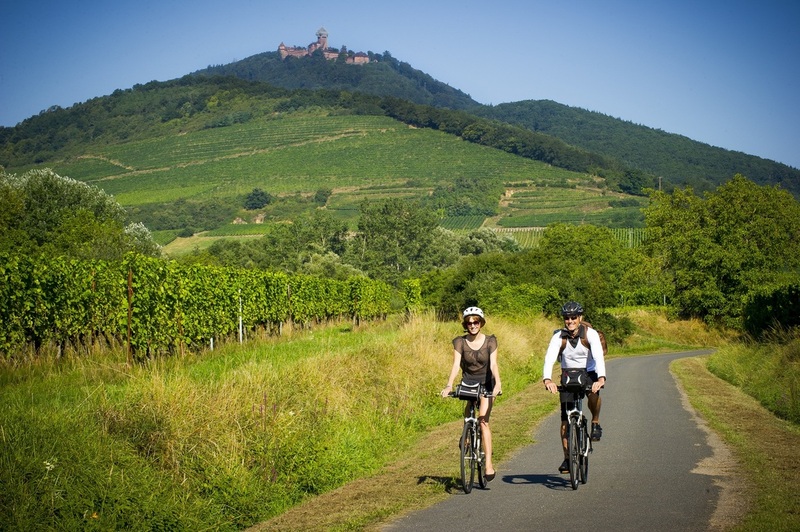 Accommodation in Alsace ranges from boutique and chain hotels to guest houses and B&Bs. 2-Star hotels cost from 60-70 Euro a night, 3-Star from 70-110 Euro a night and 4-Star 110-160 Euro a night. 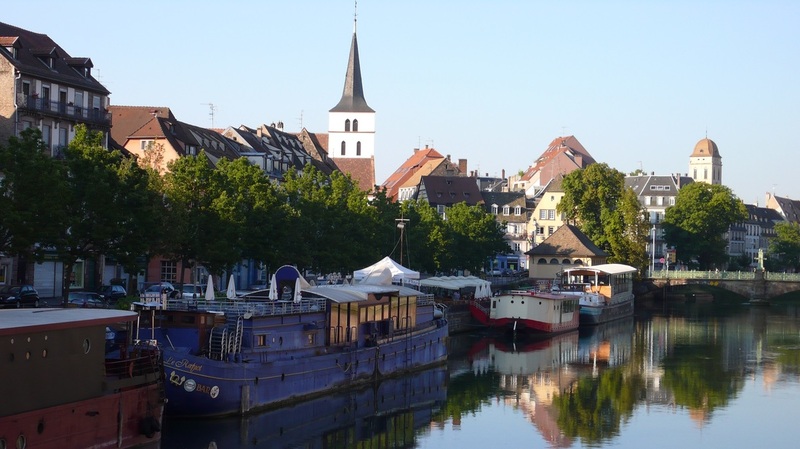 The writer was a guest of Alsace Tourism.